Stuck at home on a hot summer day with restless kids? Looking for some ideas that can help keep them occupied while you kick back, relax, and enjoy a nice refreshing iced tea? Well we’re here to provide you with some fun arts & crafts idea that will keep the kids busy and leave you headache-free. The best part? The only materials you will need are some construction paper, markers, glue sticks, and white paper plates.You won’t even need to leave your house for these great ideas! The number of animals you can create from paper plates is so vast, it’s shocking! 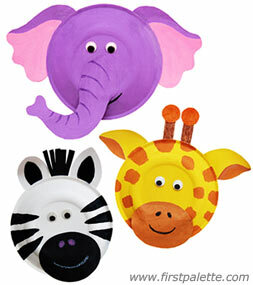 There are so many fun and creative ways that you can use paper plates to make yourself an entire zoo. 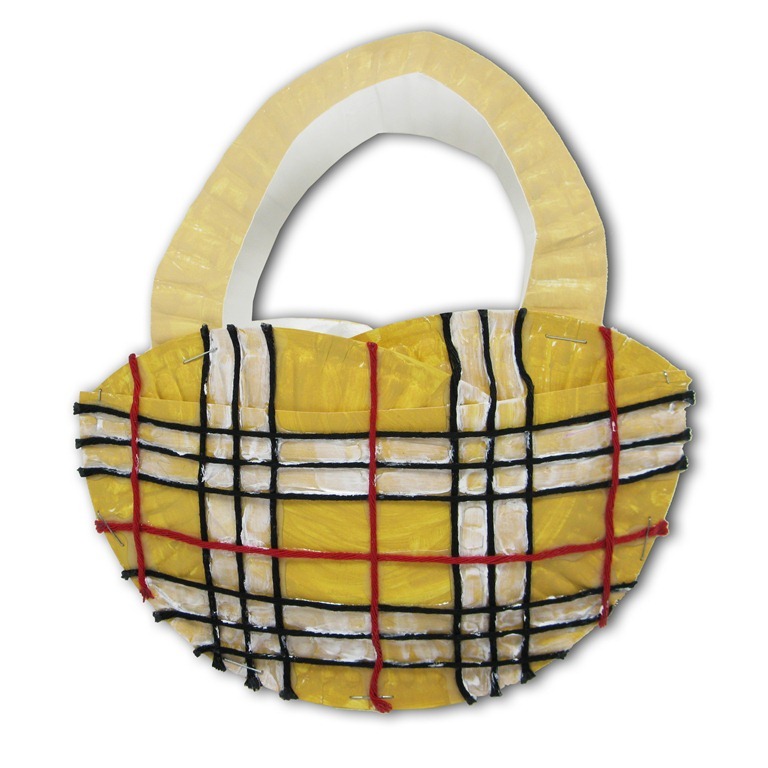 We’re providing you with just a sample of fun and awesome crafts your kids will love to make. Summertime is all about fun and games. Get ready for some family fun with this easy to make ring toss game. Kids can enjoy painting and cutting their rings and assembling this game all on their own! 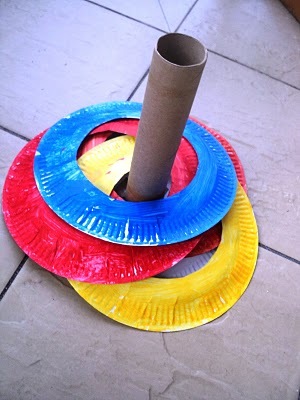 All you will need are paper plates and a paper towel tube for hours of fun. 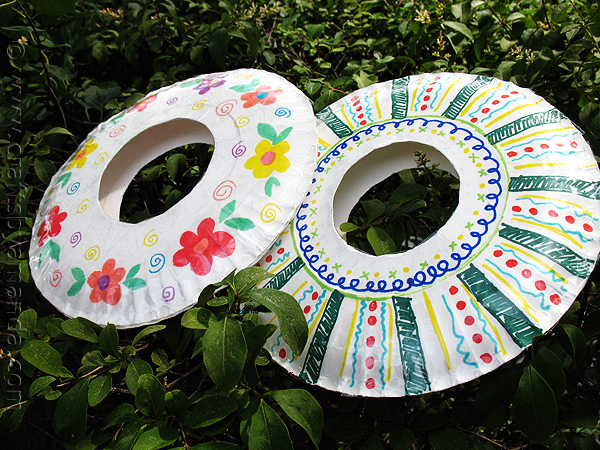 Flowers are blooming throughout the summer months and with just a few household supplies, your kids will be able to show their creativity by making these fun paper plate flowers. 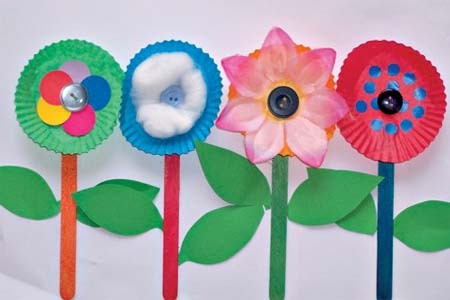 Kids can use their imagination and make an assortment of different flowers. Here’s a great idea to keep your kids entertained all day. 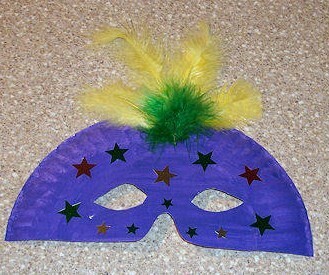 Using their plates, they can create a variety of masks. Then when they’re finished with these creations, they can create their very own plays and act them out for the whole family to enjoy! It may only be summer, but the holidays are right around the corner, and before you know it Halloween, Thanksgiving, and Christmas are here. 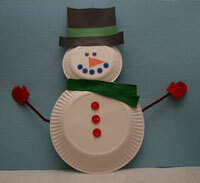 From pumpkins, turkeys, snowmen and even Santa, many fun holiday crafts start with a simple paper plate. Want an inexpensive yet endearing way to decorate the house this holiday season? Have your kids make these adorable crafts. Here’s a great craft to keep your kids active inside and then give them something fun to do outside as well! Frisbees are a classic summer activity. Now your kids can create your own and test them out in the backyard.